Team VAMA running Race For Life! 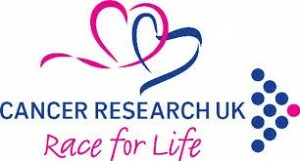 4 of our lovely colleagues at http://www.amycleaning.co.uk/ will be participating in the Cancer Research UK Race For Life event in Regent’s Park on 1st June. We aim to raise £300! Please support us – every penny counts! Cancer Research UK’s Race for Life is a series of 5K or 10K women-only fundraising events which are raising money for research to help beat all 200 types of cancer sooner. Events like Race for Life are vital in funding Cancer Research UK’s life-saving work into preventing, diagnosing and treating cancer. By sponsoring us, we can unite and create a force that cancer can’t ignore. Even the smallest donation can make a difference in the future! Go to our sponsorship page or come along on 1st June to support Race for Life! This entry was posted in Amy stuff and tagged amy cleaning news, cancer research, race for life on 03/05/2013 by admin.